The question of whether a current head coach will be fired comes with a far more important question. Earlier this week, former Raiders quarterback and NFL MVP Rich Gannon made a suggestion that will capture the imagination of plenty of Raiders fans: Former Raiders coach Jon Gruden. Gannon was reluctant to go too far with the Gruden-to-Oakland talk, in large part because Gannon said he thinks current coach Dennis Allen should get a chance to finish what he started. Still, Gannon acknowledged that Gruden will indeed return to the NFL — eventually. That would seem to eliminate a team like the Cowboys, unless owner Jerry Jones has decided to get out of the way. (Yes, I was laughing while I typed that.) But it wouldn’t necessarily eliminate the Raiders, given that owner Mark Davis wouldn’t try to run the team because he admittedly knows nothing about running a team. Gannon thinks that Gruden “certainly” would want final say over the personnel, which could makes things at a minimum awkward for G.M. Reggie McKenzie. Still, at a time when the Raiders feel like a team that is languishing and non-competitive, the return of Jon Gruden — who remains beloved in the Bay Area — could invigorate the franchise. If it means he won’t be doing those stupid Hooter’s spots on ESPN radio, I’m all for it. Notice how the Steelers don’t have dysfunction? We are the ship sailing in the ocean of your tears. He said he isn’t returning to the field for 2014 season.. But if DA cant progress and succeed next season with a more talented roster then its all good to go for Jon when he leaves the booth. OK we get it. For every open coaching job in football, Gruden will be rumoured to be interested. Just let us know when he take another job already. Oookk…im not even a lions fan…but considering all the undisciplined talent they have…why as a coach would you not want that team? I mean anyone should be licking their chops. The lions to me are a head coach away from being legit. Or you can waste your life away in Oakland. “Don’t worry, Jon, I don’t know anything about running a team. Or anything else for that matter. I’m just Al’s son……….. I think…….”. Gruden can’t develop a young QB. He won a Superbowl with a team Dungy built and after that ran that team into the ground until TB had to fire him. He’s just an egomaniac that constantly wants his name in the media. And screw Gannon, that 5 int superbowl choker! John Madden will coach the Raiders before John Gruden does. But at Least you gave Raiders fans some hope during this season of giving. I’d live to see him coach again. He was good. Plus we wouldn’t have to hear his little nuggets of wisdom every Monday night. Everybody wins. The spider 2 Y banana is coming to Oakland. Anywhere except Minnesota, Chuckie. Anywhere except Minnesota. I think it’d be cool if he went back. I can speak for all raider fans by welcoming Gruden back with open arms. He can still figure out where the play is going before the quarterback says hike. His anticipation is spot on. He took a superbowl away from us. I think he should do the right thing and bring one back. If Charles Woodson can come back, I know Chucky can too. The last time the raiders hired a defensive minded coach was john madden.some food for thought for all those people that want dennis allen fired. Of course he wants the Cowboy’s gig. That’s the top coaching position in professional sports. I bet Jerry Jones even picks out Jason Garrett’s clothes every night before he goes to bed. That would be the best move mark could make. It would not only prove the quality of coaching, but give us fans some much needed hope and excitement. Heiden has tremendous passion and fire and he is the perfect fit for that franchise. Bring him back to Frisian what he started! that leaves the Texans out to…..
Gruden, come back to Oakland and finish what you started. Your name belongs on our list of great coaches as in Madden and Flores. You know we still have the utmost love and respect for you. Raider Nation believes in you. Now we need you to believe in us. More importantly, we have confidence that you’ll groom our Franchise QB with the 3 young guys currently on the roster. Lets get Clowney and get back to winning! Jets need a coach not a clown!! End of the season fun. Jon Gruden gets link to 19 different jobs. Gruden in choke land? The job that they can barely get anyone to accept? Now you’re saying a proven coach would go there? That’s just funny. The raiders also need a qb, so how about gannon also joins him for’ol times sake? This just in… He won’t… Story over. John Gruden Is Al Davis Son! That sound you just heard was millions of raiders fans wetting themselves. Make this happen he belongs as the raiders coach. I can’t see any coach wanting to work for a control freak like Jerry Jones, other than not being able to resist the big bag of money Jones will dangle in front of them. Gruden going back to Oakland doesn’t seem far fetched, but I don’t think that would be Oakland’s best option. The only thing lacking on the Lions is an effective coaching staff!! Besides, I seem to remember many of his players HATING his guts. Tyrone Wheatley was a workhorse for the Raiders, but I read more than once that Tim Brown had to physically restrain Ty from killing Chucky. Something has to change in Oakland. The players are just not playing hard enough or smart enough for Allen. Dennis Allen was on watch when the ravens dropped 55 on his defense last year. It was a record against the Raiders…until last week, the chefs dropped a record 56 on him. The HATED CHIEFS? In Oakland?? 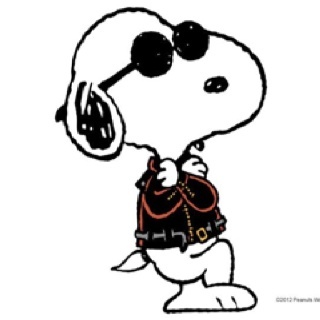 Are you effing KIDDING me, Snoopy? That’s bad for business. I sincerely doubt that Dennis Allen will ever be a HC again. He just doesn’t seem to appeal to the players as a squeaky voiced baby face who doesn’t appear to shave yet, and with the physique of the Pink Panther. His “toughness” approach just isn’t flying. He can’t get anything out of the players. Gruden would be the best thing for the Cowboys. Jerry would have to die first. Highly doubt he would go to a team in shambles. If he decides to coach this year I see him in Houston. I can see him giving them the edge like he did for Tampa. On a different note, is Cowher every coaching again? On a related note, Jamal Charles just scored a touchdown on Oakland again. God…. I know your up there… please. Really really please. We haven’t had a swagger since AL DAVIS got cheap. I can’t stop crying… come home son.. come home. all i know last November when Chucky lit the Al Davis flame before kick off, he went down to the field and was giving high fives to the black hole. He then proceeded to Mark Davis’ box. After that game Mark Davis ripped on the raiders…it’s been the only time, but wish i had an ear on what got Davis so fired up…..and what has him so quiet these days. If it gets him out of the booth on Monday Night Football, that’s a very good thing. Oh, yes, the mandatory, annual Gruden rumor, how novel. You’ll never see Gruden or Cowher outside a TV studio or booth again. Man, I know this story probably has zero validity to it, but I swear I feel REALLY tingly in a certain part of my body! The tarps are all for it! gruden is a good coach, but he shouldn’t be over personnel. He never drafted anybody good in tampa, only donald penn, and davin joseph and cadillac williams, but he stayed hurt. Al Davis was smart in not lettin him control the roster. Rich Gannon doesn’t know what the OT rules are, I wouldn’t take his word seriously. Consider those comments regarding an owner that let’s the coach take care of things, along with his “not in a hurry” attitude, and tell me that Gruden isn’t waiting for the Patriots job. Good, anything to get him and his fat head off of television. Gruden will be coaching the Lions next year. Did you hear him on the Monday Night game? This Raider fan knows what he’s about and wants nothing to do with him. The Raiders have blown it up and are starting over again, the last thing they need is a coach who will get rid of all the young talent and bring in veterans at the end of their career. make something happen soon. i cannot beat grudens mnf commentary any longer. The raiders have been bad so long, send that team to London and nobody will even care!! When in doubt, ship them out!! Gruden has said many, many times he’s not leaving ESPN. Lets see, you get paid well to travel first class to sit in prime seats and watch NFL football. You are treated like royalty and all you have to do is talk about the game you love. That’s one job. The other job includes 80+ hour weeks of tough, nerve-wracking grind. You are constantly challenged to out-think other very smart football people, all the time with judgmental folks in the front office peering over your shoulder wondering if you are smart enough. You have players who have money and often don’t care about winning, regardless of the threats you make. You have fans who think every Sunday is the Super Bowl and you have to be the dumbest person on the earth because you didn’t win every game 75-0. You make the call. Jimmy Johnson made a similar call. Just like in Tampa Bay, let someone do all the dirty work and heavy lifting, then Gruden comes in with things all teed up for success. Trying to like Chucky, but it’s hard! Poor soul got stuck working for Al Davis and the Glazers! What a nightmare! What’s next Snyder or Jerry Jones? Lol!!!! Ok, I’ll bite. Gruden and Cutler to the Raiders 2014! With Bruce Allen in his pocket, Gruden basically had final say over personnel in Tampa and after five years he left the roster among the least talented in the NFL. Not one player drafted deserved a significant contract extension. Only a city like Oakland is a match for Chuckyboy. Please hire him a nd get him out of the booth! Why leave a job where everyone thinks you are brilliant, just to show the world that you are actually below average? That is some bad luck! Glazer Children and old Al Davis. No wonder he went to broadcasting. They must have taken the fun out of the game for him. The Glazers belong in a padded room. Please Just Fired DA he took over a 8-8 team and now he is 8-22 soon to be 8-24 .. Fire that Bum !! I hope this true because I can’t stand him on Monday Night Football. I would prefer we hire Mike Zimmer from the Bengals. When Big Al hired Gruden he wanted Gru to lead the Raiders into a new chapter of excellence. Gruden was supposed to be the franchise savior. The next coming of Big Al. Gru belongs here with Raider Nation. And nobody would boo him if he has a 4-12 season( which he won’t). This is a knowledgeable fan base. He’ll have at least two years to get this Raider ship in the right direction. On another note. I went to the Raiders website and re-watched Dennis Allen’s introductory press conference expecting to hear a bunch of failed promises. I heard the opposite. He’s delivered on almost every promise he made in that presser. Except for the lethal tempo his offenses were supposed to play with. Have yet to see that . Bottom line is that DA is not going to attract quality free agents. Does he deserve another year? Maybe….with that said this organization is in trouble. When you are in disarray like the Raiders you need something to excite the fan base. A coach learning on the job is not the answer. At least with Gruden you can bring in quality FAs and have a coach that transforms mediocre QBs into MVPs. I would say 80 percent of the Nation would welcome Chucky back with open arms. Then they could remove that ridiculous tarp off the upper deck. Basically, if Allen stays, you lose the fans and keep the tarp. Gru-dog only jumps onto well established teams so he can manage the talent then bounce. wheres the talent in OAK?? more likely he is heading to WSH or TEX if anything. The Steelers are a ship floating in Al Davis’ seamen. The team has been in cap hell for 2 years due to the roster purging after Al’s death. They are still recovering from Al’s roster decisions. They will finally emerge from the carnage this year and have more money than anyone else in the league to sign players this year. They also took the time to evaluate Pryor and determine he was not the QB to lead this team. So either McGloin will be the QB next year or a high first round QB. McFadden will finally be gone which is a good thing for the franchise. The Raiders are turning the corner on a massive overhaul. I never saw Gruden outcoached as I did with the current Raiders. Remember, he was one Tuck Rule away from going to the Superbowl. And Yes, “The Pittsburgh Steelers” they would have beaten your team the next week like a drum. The only problem I see is who picks the players in the draft? Gruden has shown that he does recognize tallent and I think he is JUST what the Raiders need. No HC has won the Superbowl with one team and then gone on to win a Superbowl with another team. Some have made it to the big game with the second team but none of them ever won. Nobody. I know the Raiders have sucked since he left but he is not the answer for Oakland. How can he be coaching Oakland when he’ll be with the Giants? please come to the titans! If Mark Davis can make the right moves, maybe Jim Buss (Lakers) can learn a lesson. Mark, surround yourself with the BEST and do not overlook some in our own Raider Family! This new breed of NFL players needs some of our former stars to coach them (especially asst. coaches) and flash that hardware (Super Bowl rings) and zeal from the glory years. Hurry up before they too leave us !!!! When is he going to coach the Celtics? Please, get him off monday night football! Watching him back in joketown would be funny though. Reg is nothing more than qualified to be a puppet, and Gruden can’t build anything. The decades long circus continues as usual. I only notice they don’t have a playoff spot….and they have a Center who likes to give prostate exams on the field. To sum up all the contents, it is crystal clear the dominant theme is to get rid of “His Arrogance” from TV. Couldn’t agree more heartily, and certainly don’t have him on the elite coach level, either. You gotta think about what Gruden has been doing these past years as an ESPN analyst. He’s been able to study and sit down with players coming out of college. He knows their strengths and their weaknesses. As an announcer, he’s getting a chance to take a sneak peak at every team in the league. Listening to his commentary on what the other teams are gonna do is spot on. From all the knowledge he’s been able to take in, I honestly think he can be an even better coach now than he was back then. If Andy Reid can fix the chiefs, I know Jon Gruden can fix the raiders. Gruden is going to want to complete control of the team that means Mckenzie must go. Its obvious that the two year experiment has been a failure. At least with Baby Davis as owner, can pick his own staff and players. And Not choices Draft choices. Why Gruden and not Shanahan, since he obviously will be unemployed? Also, if Gruden hints that Gannon could return to Raiders, it would represent an upgrade at the QB position. Oh, and does that mean Dennis Miller will return to Monday Night Football? Please Fire McKenzie Mr Davis he has dismantled an 8-8 team and turned it into a team of scrubs.There are no emerging stars that he has brought in .All the players he has drafted would barely make it on any NFL roster other than the Raiders. Those tarps are professionally installed, and you know it. They look damn good. When I tarp something, it’s a cheap blue one from Harbor Freight. When Prince Valiant does it, he hires out.